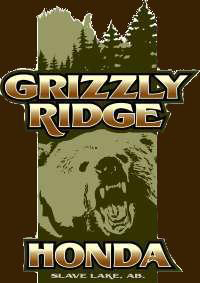 Welcome to Grizzly Ridge Honda online! On top of being Slave Lake's new SPORTING GOODS STORE, we also specialize in sales and service of ATVs, motorcycles, boats, and PWCs. Whether you're on the water, trail, or lawn, we have everything you need to make your outdoor time more enjoyable. We carry the latest and the greatest from Honda, Bombardier Recreational Products, Princecraft, SITHL, Husqvarna, and other trusted brands right here in Slave Lake, Alberta. We are also licensed to carry firearms and now carry only the best brands such as Savage, Winchester, and so many more. Questions regarding any of our products? Call (780) 849-3514 or send an email to tina@grizzlyridgehonda.ca. We are here to serve you. Customers from Slave Lake, Whitecourt, High Prairie, and the nearby area have come to trust the service, quality, and knowledge you will receive at Grizzly Ridge Honda. It's no wonder customers and riders from the lesser Slave Lake area, Northern Alberta, and Western Canada keep coming back. Our trained techs have years of experience in service and repair and our friendly sales staff is always eager to assist customers. We offer Honda Pro certified technicians, motorcycle and ATV customization, and lawn equipment service and repair. So look to Grizzly Ridge Honda for ALL of your outdoor recreational product needs. Get out and have fun!